We’re still putting the finishing touches on or Evolve review. We’ve enjoyed it quite a bit but we need to put more in to testing the game in real world, South African conditions. It’s a fun as heck game, especially if you’re playing with a group of easy-going, like-minded individuals who aren’t eager to tell you what they did to your mum last night. Fun it is, but that doesn’t mean it’s without problems. Get in with the wrong group of people, and the game become nigh unbearable. The game is also a bit of a grind, with quite a bit of play necessary to unlock each successive tier of characters. Much of the game also seems to be about chasing icons instead of actually doing anything. 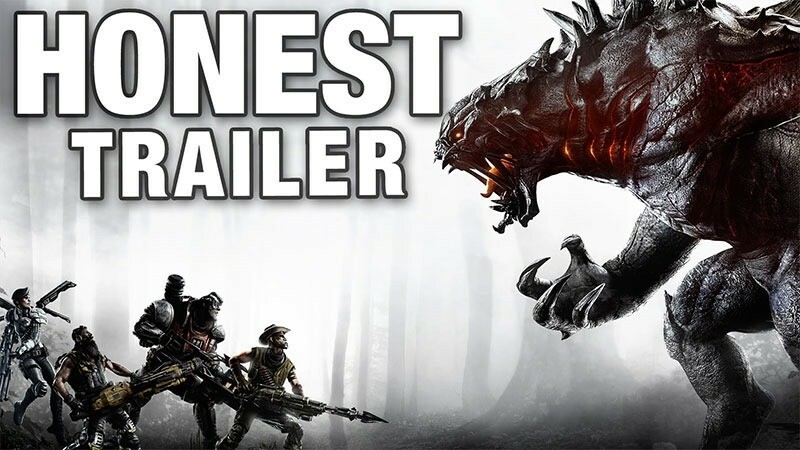 That’s all tackled in the latest Honest Trailer from Smosh. It doesn’t really go in to the games egregious DLC or the very nearly unbearable wait times between games, or the weird balance issues, or the fact that the Wraith is one horrible sonofa – but it does otherwise nail the game. Evolve is out right now. If you don’t want to buy it, you could perhaps win it thanks to Megarom and MSI, who’re also giving away a graphics card.